Apothecary Jars have become very popular lately. Featuring them in your Christmas decorations is a really great use for them. 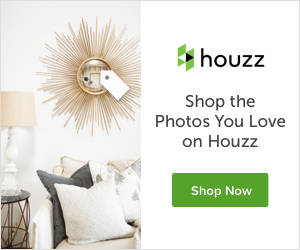 This year, I used them in my dining room and am excited to share the ideas with you! Today, I am sharing about using apothecary jars for Christmas decorating. Most certainly, this time of year is the most wonderful for me! Once our children became old enough to potentially remember the traditions we have created for Christmas, we decided to always be home for the holidays. As teenagers now, they wouldn’t have it any other way! This is precisely why I go a little overboard in the decorating department every year! It may seem complicated, but his vignette was super simple to pull together. Begin with a selection of apothecary jars that you might already have. If not, I have provided a link below to purchase a great set. Next, decide what you want to feature in your jars. In this case, I used the really cute little white deer and the tiny flocked Christmas trees. All you need to do is pour in some faux snow (or Kosher salt, for a realistic look!) and then add in anything small you have on hand or find. Try to coordinate it with the rest of your personal decor. Voila! Once the jars were ready, they were placed onto my buffet and then I added in the faux garland. Wrap it gently around the bases of the apothecary jars, leaving room for other fillers. Normally, I would use real greenery but decided I didn’t want to keep changing out the greenery once it dried out. There are so many WONDERFUL, natural-looking faux garlands these days and utilizing them will truly make your life so much easier! And, at this time of year, that is a welcome concept for many! Next, I added in the candles. Here, I used birch candle holders to coordinate with my rustic, winter theme, but you could use any kind of candle or votive holder that you have. Once the larger candles are in place, it makes it easier to “fluff and puff” the rest of the vignette. My favorite finishing touch for this design was the wood and glitter spheres I found at Kirklands. If you know me well or have been reading my posts, you know that I really enjoy adding a bit of glam or sparkle to most of my projects. These were perfect and were very inexpensive. Tucking in the glitter sprigs, ornaments and mercury glass votive wrapped things up so nicely! You can see here how it all coordinated with the rest of my dining room (new post on that coming soon!). For more inspirations on how to decorate with apothecary jars, follow my Pinterest page on Apothecary Jars with over 300 pins on this topic. I used the same apothecary jars for a centerpiece for my island last year. They have so many great uses for the holidays and throughout the year!! 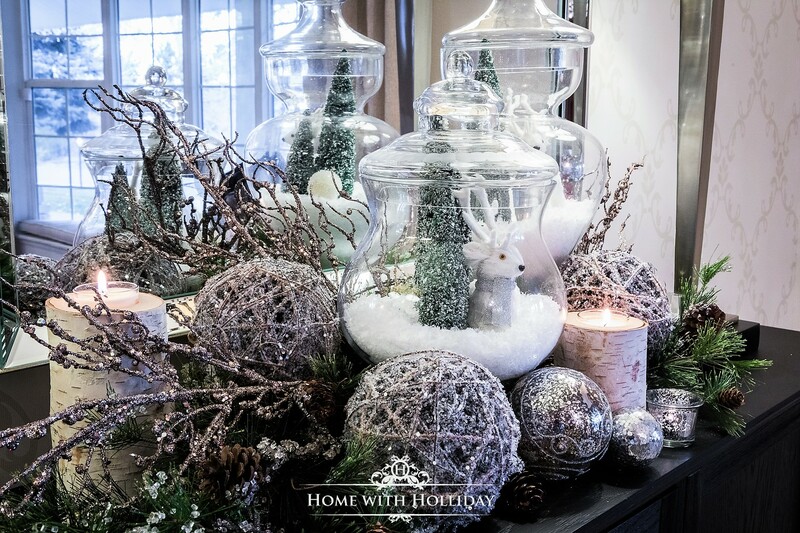 Thank you for stopping by to see how you can use apothecary jars for Christmas decorating!